It looks like the top two Korean brands in the country are about to instigate a price war with each other. After launching its game-changing Soluto sub-compact sedan, Kia found its thunder stolen by its mechanical twin, the Hyundai Reina less than 24 hours later. Since then, these two have been engaging in a peso tug-of-war. 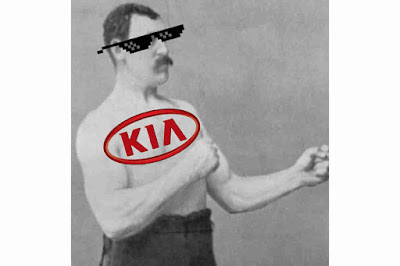 For the next few days, it looks like Kia Philippines may have the upper hand. With the exception of the top-of-the-line Soluto 1.4 EX 4 A/T, it looks like Kia has pretty much beat the Reina in terms of pricing after Hyundai opted to increase their pricing by P 40,000 starting this April. Oh, and remember that the Soluto is the one that’s got things like Apple CarPlay and reverse sensors as standard equipment. See? In every single variant it looks like Kia’s killing the Tucson by adjusting their price making them significantly cheaper than their Hyundai counterparts. Okay, granted the Sorento’s getting long-in-the-tooth compared to the Santa Fe, but take note: for the price of the Hyundai, you can actually get the 4x4 variant of the Kia and still have change left over. Getting the drift?